Instead of posting many threads to get clarification on simple or generic questions or issues, I think it will be good idea to keep one thread open for all the general questions and answers, which don't really require a dedicated thread. Let us use this thread to post any questions or issues that you are facing with key2 in general. Mods, I have posted this thread as I didn't find any other similar thread for this purpose. If you think thread already exists, please feel free to delete this and add it to the sticky threads. If the thread doesn't exist, please mark this to other sticky threads. I can see many negative threads about n number of issues and it gives negative impression on the device for others who are watching Key2 forum. So, I think it will be good to have and make this thread active. Let me start with my first question, where can I see screen on time in the settings? 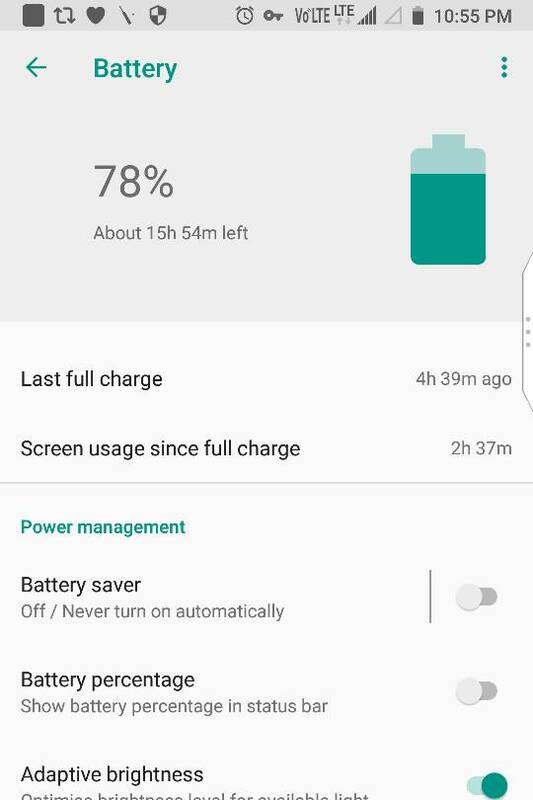 Is the "Screen usage since full charge" is the screen on time? If so, I feel really great as I got close 10 hours of screen on time in since my last full charge. Gee, then all we need is a single thread for every Z10 question, and a single thread for every Passport question, and a single thread for every <insert device name here>. Sorry, but I've seen this tried on other forums. You end up with a mess. Hundreds of pages with Question #1 answered in Posts #2 , 5 and 17, etc, etc. IMO this thread Title and content should be edited to just the question before it gets out of control. This is a thread for basic questions.. At least we can give a chance to thread starter to search in this thread if that question has been already answered. I think ppeters is right. No offense, babugaru, but I do not think this thread will be very helpful at all. It will be a complete mess. If you want to search for a an answer or if your question has already been asked, please use the forum search, as intended. I do not see the need, or a purpose for this thread. If you have a question, start a thread. It will be answered e voila. Done. I completely understand your point. Did you understand mine when I said that I've already seen this implemented elsewhere, and it was a mess? Even "if" (and that's a big IF) folks search first, it's frustrating trying to follow multiple non-consecutive posts responding to the question. We'll let the mods decide whether they think a catch-all Q&A thread will be helpful or not. You mean, if I need to ask a basic question, should I start a new thread? Brother, I completely understand your point and I think you didn't understand my point. If I start creating threads, I will end up in creating 100 of threads. Is it really required? Apart from the challenges in implementation, if this thread is pinned, then people will start using the thread. I understand what you're trying to achieve here but like others have echoed, it's easier to search by the topic then by individual post. Also it's better to keep to a topic that has a limited scope. Unfortunately that's the nature / limitation of threads. Even if it's a lousy question, it's OK to have its own thread. Eventually we can have a thread that can refer to individual threads for tips and tricks as a sticky, once the forum has matured enough. PS: I see you're a new Key² user and may have a lot of queries. I believe it'll help other new users if you have individual threads as they may have similar queries. Im just saying, its an android phone like the thousands that exist already so most all the "basic" questions have been answered already and do not need a new thread. What needs to happen is members search for the answers first and then if after a bit cant quite get the answer they need can start a thread. There are many threads about the SOT that you can post in to ask questions about it and how to maximize it for instance. Point is you can google a BlackBerry problem and it will bring you to a thread on CrackBerry. If all the answers are in one thread, that googling will then become useless, regardless how noble the intentions you have. Thread closed, so CrackBerry can continue to be a library of useful, accessible knowledge. Vistaus, TheBond, john_v and 3 others like this. ATT KEY ONE stuck on start up fix - Stuck on "Blackberry - Powered by Android"
Does the KEY2 LE hard reset upon inserting a new SIM card?